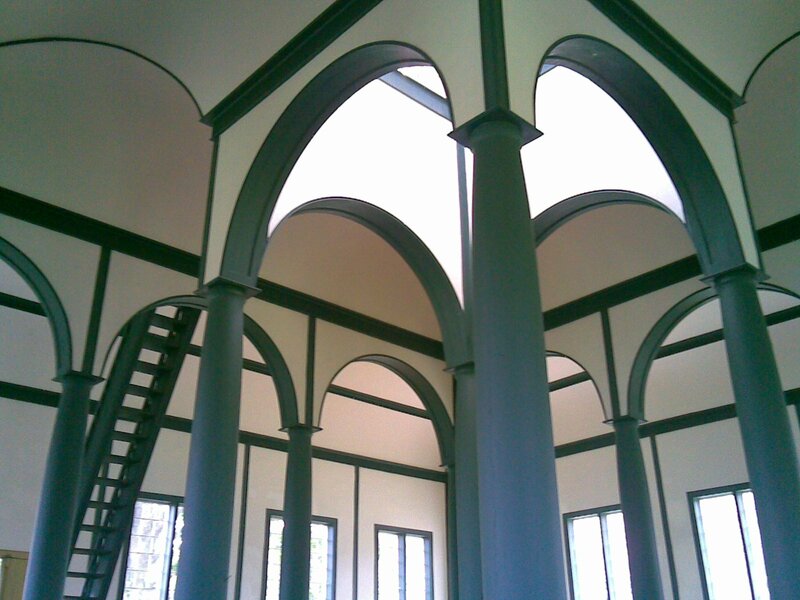 I am drawn to architecture: the height of a column, the bend of a Gothic arch, the curve of a vault. There is something more than simply the design that makes a space majestic: it is the material used, the time and care taken and the lives lived in that space. This energy can be found in an unassuming farmhouse, or in the imposing nature of a Gothic church. I just picked up the latest Loreena McKennitt CD, “The Wind that Shakes the Barley.” As much as I love her music, I was struck by the picture of a building found inside her CD case. In this picture, a darkening sky in contrasted with the warm glow of a square three tiered building- accented at every corner by the glow of what looks like large carriage lanterns. 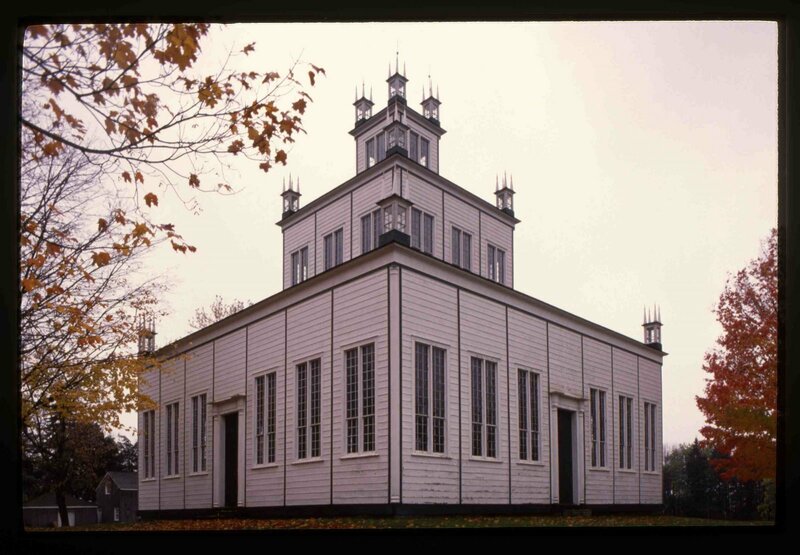 The building is called the Sharon Temple- found in Sharon, Ontario. It is hard to believe it was completed between 1825- 1832- it looks like a modern creation. I don’t claim much knowledge on the history of architecture in Ontario or Canada, but in my studies of history I simply haven’t seen any strikingly new innovative design in the early nineteenth century- until this one. The Temple was built by the Children of Peace and their leader David Wilson in the village of Sharon under the innovative direction of Master Builder Ebenezer Doan. These people were former Quakers. While the Temple itself is an example of their innovation, closer inspection of the community illuminates their progressive nature. The Children of Peace were the first to have a civilian band, and to have an organ built in Ontario. Socially minded, they were the first to create a farmers co-operative and to build a shelter for the homeless- they were also involved in politics. After the passing of David Wilson, the Children of Peace started to falter. The last service was held in 1889. Now a National Historic site, I can’t wait to experience and photograph this building- thank you Loreena McKennit for the inspiration! This entry was posted in Art, historical, music, spirit and tagged architecture, Children of Peace, David Wilson, Loreena MKnnit, sacred space, Temple of Sharon. Bookmark the permalink.